It keeps hot food hot, and cold food cold. How does it know? Is it the most “artificially intelligent” object in the galaxy? At the bottom of the front face was Borland International’s logo. The jug was a teaser for Turbo Prolog, and I think I received it while I was still at PC Tech Journal in the fall of 1986. I had to quote the text here, because as you can see from the photo, a good part of the inscription has been worn away. Why? Because I used it. I used it a lot. That is not generally the case for swag. In the summer of 1976, Carol attended an open house at a local real estate office in Rochester Minnesota, where she was at grad school. They gave her a yellow plastic noodle strainer reading “Joe Maas Gallery of Homes” and a phone number. Almost 39 years later, we still use it to strain noodles and dumplings and anything else that needs to stay in the pot while dumping the water. Joe Maas’s name is long gone to friction and detergent, but I still remember it. For swag, I’d say mission accomplished. Seven or eight years ago, we received a plastic flyswatter in the shape of a house from the realtor in Chicago who helped us buy our condo. It’s a little smaller than most flyswatters, meaning that it has less mass and is more maneauverable, as a good many flies have found to their sorrow. I’m not sure I’d want my company name slobbered up with bug guts, but I use it most days in the summer and will never forget Rohn Realty. Premia gave me a nice little pen knife / nail file / micro-scissors in 1992 or so with the CodeWright logo on one side. It’s still in my desk drawer and I still use it. Screwdrivers. I still have and use a pocket screwdriver from PK Ware, as well as the one that came in the box with Windows for Workgroups. Thumb drives. These didn’t exist back when still I went to trade shows, but Eric Bowersox gave me a couple of teensy little items that came loaded with just about every piece of documentation AMD was giving away about its processors and motherboards. Double brilliant. Canvas bags. Too numerous to mention. All that came to hand just now long outlived their vendors. A particularly good specimen from the 1991 OOPSLA is still my designated hamfest trick-or-treat bag. Pens. Live fast and die quick; that’s the pen motto. All are long gone, although a spring-loaded Levitra gimmick pen given to me by a doctor friend remains in my Personal Museum of Very Odd Things. Coffee mugs. Part of the problem is that everybody gives out coffee mugs, and your swag mug gets lost among all the others, and is eventually given to the local thrift store. The other part of the problem is that coffee mugs aren’t always microwaveable, and if you can’t nuke the brew, that mug is on the short path to oblivion. I gave away the nice OS/2 Warp mug I once had because it was plastic. And early on, swag cups often had foil trim, which catches fire in the microwave. The Borland mug shown above is a very nice item, but man, you should have seen the fireworks when I turned the microwaves loose on it in the early 90s. Clothes. Ok, folks, look at me: Am I an XXL? Then why are all these trade-show T-shirts size XXL? Because you can’t stock six sizes at your booth? Well, look at whose canvas bag I’m toting. It isn’t yours, hint hint. I’m sure there are others in drawers and cabinets around the house. The wonder isn’t that we still have them (we’re legendary packrats) but that such cheap and usually plastic geegaws can actually serve real needs for longer than ten minutes. Borland’s AI thermos will doubtless see ice-water service again this summer, now that it’s no longer in the bottom of a box. Houses have flies, and thus realtors will give away flyswatters. And a swag strainer that sees near-daily use for 38 years with no end in sight? That should be in a glass case in the Vatican, because God in heaven, it’s a miracle. The benefits of Amazon’s Kindle Unlimited (KU) program are reasonably clear for readers, especially “power readers,” who read over ten books per month. In fact, the program seems to have been designed for power readers, and I’m starting to hear from power readers who use KU and consider it a good deal for the money. Now let’s look at the flipside: Is it a good deal for authors? That’s a kind of a tangled question. First of all, my research suggests that Kindle Desktop Publishing (KDP) has been very good for indie authors and publishers. As I mentioned earlier in this series, much depends on what you’re writing and how quickly you can crank it out. Amazon has a program called KDP Select (KDPS) which is mostly about promoting your work, and all titles on KDP Select are also on KU. I’ll explain how KDPS works in a future entry; it’s complicated. A fair number of authors writing in popular categories have been making their sole living off Amazon’s various Kindle programs for some time now. With KDP, payment is pretty simple: For books with cover prices falling between $2.99 and $9.99, authors get 70%, Amazon gets 30%. For those 99c novels you hear about (or anything with a cover price less than $2.99) authors get 35%, Amazon 65%. Authors are paid after the customer orders the book and pays Amazon for it, whether the book is actually read or not. Under most author agreements with KU, this all changes. KU books are borrowed, not sold. A borrowed book generates a royalty payment when the customer has read 10% or more of it. (Yes, Amazon knows how much of a KU book you’ve read. It’s a cloud system, and the cloudowner knows everything about what goes on in its cloud.) KU borrows of books published by traditional publishers generate the same royalty payment as a conventional sale, but that’s a much smaller group of authors, and not what I want to talk about in this series. How many borrows actually happen. Yes, you read that right: All KU borrows share funds from a fixed pool that Amazon “fills” at the beginning of every month. If the pool contains a million dollars and a million borrows happen, each author of a borrowed book gets a dollar for that borrow. That simpleminded example is not far from real-life. Roger Packer published a nice chart of KU payouts from July to October, 2014. In July, payouts were $1.86. Payouts dropped each month, until by October they were $1.33. Then, in November, payouts rose to $1.40. Why? My guess: All hell was starting to break loose. Remember that titles published under KU are exclusive to Amazon. Authors give up sales from B&N, iBooks, Kobo, and every other channel. So if KU and KDPS revenues fall, there’s no other money pipe running. KU is still pretty new, and author discontent is even newer. Nobody knows if Amazon will respond with a bigger money pot or just ignore the author anguish and ride it out. I’m following the matter closely now and will report here when anything interesting happens. In the meantime, in the wake of November’s author explosion, the question arises: Why do any authors stay with KDPS/KU at all? There are certainly costs, and as Holly Ward discovered, those costs are significant. Are there benefits? Well. Let me scratch my head a little, and in the next entry in this series I’ll explore that, which is the gnarliest KU question of all. Amazon’s Kindle Unlimited (KU) is an ebook subscription service currently available to the US market for $9.99/month. KU books aren’t “sold” (the term used is “borrowed”) and you don’t get separate ebook files. The service is totally cloud-based, and (unlike the Kindle Owner’s Lending Library, from which KU evolved) works with the Kindle app as well as Kindle hardware. So you can read KU books on any device for which there’s a Kindle app. However, maintaining your KU account must be done from either a Kindle device or a Web browser. When you establish a KU account, you’re given a bookshelf on the cloud with slots for ten books. You can borrow books to fill all ten slots without any sort of time limit, but to read an eleventh book, you have to “return” one of the ten on your shelf. Otherwise, the books you place on your shelf stay there until you return them or until you cancel your KU account. Interestingly, your place in the book and any notes and highlights you create are retained, and if you borrow the book again, your place and your notes come back down with it. This is true even if you cancel your KU account and start it up again later on. Here’s a link to the KU browse screen. The collection is quirky, though what you see initially looks pretty reasonable. Life of Pi is there, along with the Hunger Games books, The Handmaid’s Tale, and a fair number of other things that I recognize. The catch is that power readers have probably already read most of the good stuff. There is only so much good stuff by that definition. At this time, the vast majority of KU books come from Amazon’s Kindle Desktop Publishing (KDP) Select program. All books published with KDP Select are automatically available through KU. Authors who want to stay out of KU (more on this in my next extry) need to stay out of KDP Select. (Note that KDP Select is not the same as KDP.) Amazon is cutting deals with conventional publishers for ebooks to include in KU, but the larger publishers are holding back. Statistically, a KU title is a KDP Select title. For the vast majority of KDP Select authors, KU requires an exclusive; that is, if you sell a title through KU, you can’t sell it through the B&N store, Kobo, iBooks, etc. (Amazon granted an exclusivity waiver to many larger publishers and a small number of very popular KDP authors to rope them into KU.) I’m getting a little ahead of myself with that; the exclusivity thing is worth further discussion, which I’ll get to in connection with author issues. Whether the books on KU are what you’re looking for. If you read at least a dozen 99c novels a month, KU may be just the thing. A lot of power readers (and I know more than a few) read a whole book every day. For those who prefer novels in the higher-priced brackets, breakeven on the $10 monthly hit happens a lot sooner…if the sort of material you like is on KU at all. Right now that’s an imponderable, though I’ll say straight-up that nonfiction is pretty scarce. You won’t know until you go digging. Well. That’s how it works. Now, what about those unintended consequences? And is it a good deal for authors? Stay tuned, kiddies: The head-scratching gets serious in my next entry. To KU or Not to KU, Part 1: What Is It? Back last July, when Amazon announced its Kindle Unlimited (KU) program, I scratched my head and said, “Well.” When I scratch my head and say, “Well,” it generally means that I’m confronting something that appears to be a good idea but will definitely generate unintended consequences. So it was with the ACA, and so it is with KU. Thankfully, KU lacks the power to bring down an entire industry…or does it? Stay with me; I’ll offer up what insights I can. I compare KU to Netflix, where much of what you find is what nobody wants to pay for as individual titles. It’s not about “Where’s the show I want?” so much as “What’s out there to fill an hour or two of dead time?” In that respect, KU could be considered the mass-market paperback shelf of the ebook world. 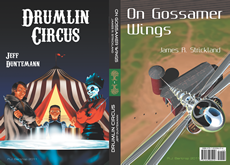 MM paperbacks were created to be read once, just like the pulp magazines that preceded them. They were a way to kill time. I’m not sure anybody expected that they would remain on reader shelves for decades, as some of mine have. (Most have been given away or tossed in the recycle bin. And I admit that my favorites have been falling apart for decades.) There were power readers back then who would read a book basically every day, picking a library fiction section clean in a couple of months or less, and spending an extraordinary amount of money on new titles at the bookstore. I think we have more power readers now than ever before. KU goes to great lengths to connect power readers with (mostly) new titles. So it’s a Really Good Thing for authors, right? “Well,” he said, scratching his head. Next entry: How it works. It’ll be awhile before this becomes available, but a brand-new antibiotic has been isolated from bacteria that live in dirt. I’m doubly enthuisastic because this may encourage researchers to look harder at bacteriophages, which live in dirt and worse. From the Words I Didn’t Know Until Yesterday Department: A selfie stick (also known as a narcissistick) is a camera holder that allows you to take pictures of yourself or groups by parking your camera on it and holding it up in the air so that the camera is facing you. It’s usually just a rod with a handle, sometimes telescoping. Many support bluetooth to trigger the camera, though the details remain obscure to me. Beware the Facebook Logic Fallacy: One member of Group X is evil, therefore all members of Group X are evil. Much of my objection to Facebook memes is that this is a very common template. Attack memes must die. Not sure how to get there from here. 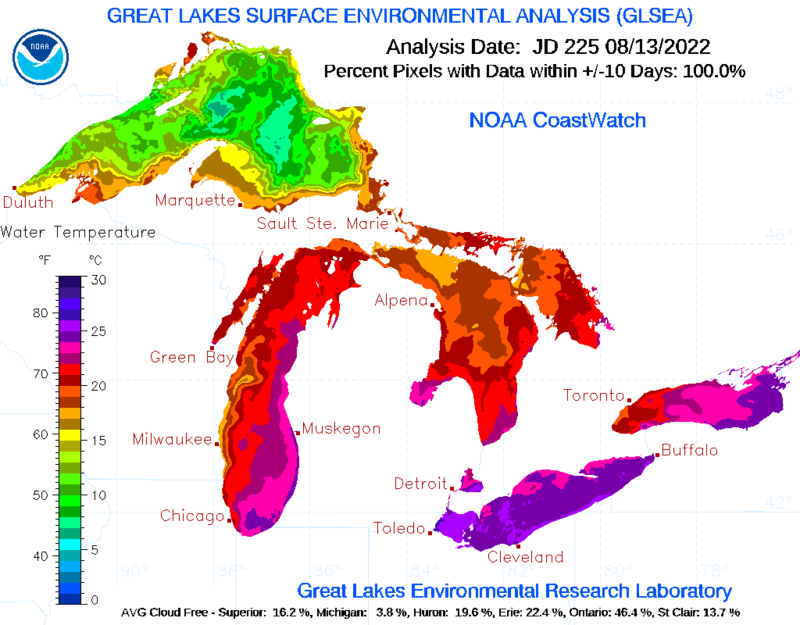 The percentage of ice cover on the Great Lakes is now 18.7%. Keep an eye on this graphic, as I think our current winter stands to be an…interesting…season from a Great Lakes ice perspective. In general I’m no fan of government regulation, but here’s an excellent argument that both broadband providers and airlines could use a little consumer-oriented regulation. Related to the above: Air travel is a lousy business (rather like health insurance, in fact) and merciless price competition has led to creative fee-hiding and generally charging extra for a travel experience that hasn’t been made deliberately miserable.